Membean is an incredibly effective way to learn words and permanently remember them. Learn more on how we help for Test Prep, Personal Learning, or get it for your School. There I was, behind enemy lines and sure I was about to be captured or caught. I moved quietly, but I still kept expecting my enemies to pop out from behind the next row of bushes and capture or take me by surprise and hold me. I knew I would fail to complete my job if they were able to capture or catch and keep me. I suddenly saw that I had made it to their hiding place, so I captured or grabbed their flag and won the game for my team! Quiz: Try again! What do you do when you capture something? You let it go because you think that everything should be free. You look at it from far away and wish that you could have it. You get it and try to make sure that it doesn’t get away. When you capture something, you take it so that you have it. A brief word on definitions. Not all possible definitions of a word are given — only the ones most likely to be tested. The word constellation has additional meanings of the word or use the fast dictionary in the bottom toolbar. Captain's Fishing Lure If you want to capture a really big fish, use Captain Pike's fishing lure, for it's guaranteed to land you one big fish! 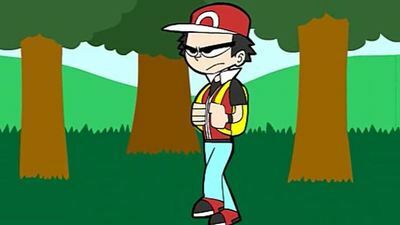 Animated James Pokemon Capture (YouTube) This is certainly an easy and cool way to capture a creature! The panel shows a small video clip of either the word in actual use or a scene that represents the meaning of a word. This not only breaks up the monotony of studying words but also provides another avenue to strengthen word meaning. Enjoy! The section lists important variants and alternate definitions of the headword. Knowing variants will often help you both remember and understand the word. Not all variants are listed - only the ones we think that are important for you to know.